As my family's go to geek, I'm often called out to inspect dodgy computers. If it's not going what they want it to, then I'm a cheaper option than the computer shop. I might not be able to guarantee that I can fix it (though 9/10 I do). But I can assure everyone that, by the time I leave, CCleaner will be installed. It's my number one favorite program of all time. It's free, easy to download and utterly invaluable for speeding up your PC. Running it fixes so many issues that only fools haven't got it already! It is the geek equivalent of getting out a mop and bucket, then setting your house in order. "What are you putting on there now?!" My mother's friend eyed me with suspicion. She had originally called me over to fix a problem with her router. That took whole seconds, but in the gushing thanks that followed, she had mentioned how slowly her computer loaded websites. I had a solution. "It's my favorite program ever." I reassured her. "It removes all of those cache files, dodgy registry keys and cookies that are eating away at your CPU capacity." She blinked. "In English please?" I considered it. I needed an analogy with which she might identify. "You know if you were to use the cooker without cleaning it, you'd eventually end up with a load of gunk down the back?" I watched her expression. She was staring at me. "Carry on and it'll clog up the grills, leaving you with lots of smoke, a bad smell and a cooker you can no longer use." "So," my mother's friend glared, "you're saying I'm a sloppy housekeeper?" "Maybe just on the computer." I replied, conscious that I was standing in a scrupulously clean home. "Let's see." I ran CCleaner. It's a program that I try to get onto every single computer that I'm called to fix. I have geek friends who carry it around on memory sticks attached to their keyring. It's the first port of call for the majority of PC savvy people I know, when faced with a sluggish machine. I dread to think how many times I've personally run it during the past few years. 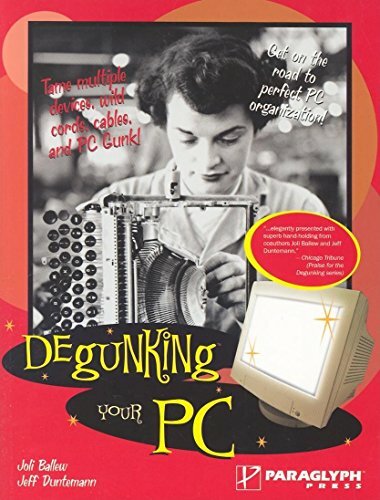 To this day, that computer holds the record of being the most gunk clogged system I have ever encountered. It's the standard by which I reassure everyone else. If it had been a cooker, it would have long since passed the smoke stage. By the time I left, she was all grins. She hadn't known that websites could appear instantaneously. I'd showed her how to use CCleaner and, as a houseproud woman, she was going to run it every day. She's not had to call me back since. Her computer, she informs me whenever she sees me, is running like a dream. 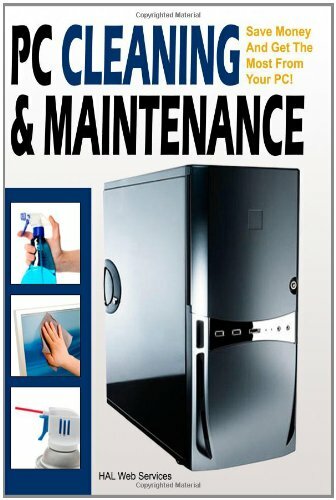 Buy these books to learn how to keep your computer degunked and clean. What is the Gunk that Accumulates on your PC? You would be amazed at what is left behind simply by visiting your favorite sites and surfing the internet. 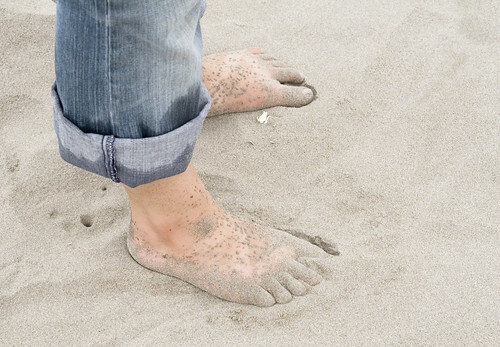 Walk across a beach barefoot and you would expect to find sand attached to your feet before too long. This is exactly the same when you stroll through cyberspace. Most of the little bits of data and files that cling to your computer are there for convenience. Start typing a URL into your browser window and, if you've visited that site before, you'll find that the rest of the address is suggested for you. Your browser's memory stored it, in order to make it easier for you to find next time. That's just one example of a multitude. Each website that you even so much as flick through will leave its trace. It may be in the form of a temporary file, which allows the page to display much more quickly in the future. It may be a cookie, which remembers information that you typed onto the page, so you never have to type it again. Passwords or form data are included in that. Each of these snippets of memory may only be tiny, but one grain of sand placed on top of another eventually results in a mountain being formed. Your computer may be retaining these little bits of convenience for sites that you will never visit again. They are building up in your hard-drive, hoarding memory and forcing your operating system to carry them wherever it goes. These are precisely the things that CCleaner seeks to sweep away. The result is that your computer breathes a digital sigh of relief, then sets off to accumulate more. This tutorial demonstrates just how much memory is taken up by simply browsing a couple of websites. Ccleaner isn't the only one on the market. Check out these other programs for some of the alternatives. Exactly what it says on the packet, the freeware cleans, optimizes and speeds up your computer. All of the memory thieves, stacking up on your PC, can be removed manually. Those files, cookies, trackers, programs and all of the rest are filling up in folders that you can access on your hard-drive. However, the computer illiterate might be too worried about messing about in there, while the geeks would welcome the chance to save some time. 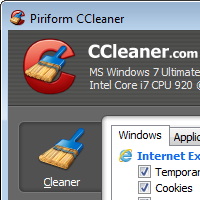 CCleaner does it for you, very fast and very efficiently. It doesn't target anything that isn't safe to delete (unless you specifically ask it to and none of the default settings will do that). Once installed, you don't even have to open the software again, if you don't want to. Just click the box that makes it run at start up and it will silently clean in the background, even though you've forgotten that it's there. When you first download it, a wizard will guide you through setting up the program. Just choose the options that best suit you, then let it install. 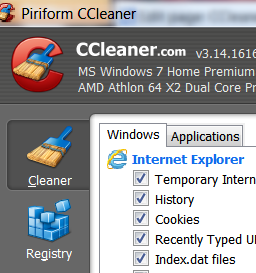 CCleaner will automatically open so that you can select what you wish it to clean. The most important gunk collectors will be ticked for you, though it's easy enough to deselect them by clicking the box beside each item. I personally have mine set to be a right-click option on my desktop recycle bin. This is also where I leave it for anyone for whom I've downloaded it. It makes the program easy to locate, in the area where you're storing your computer cleaning tools. CCleaner is free to download and use, though there are two Pro versions for more advanced users. The first of these targets home users, but the main benefit is solely in prioritized technical support. I've never needed that service in years of using the program. It's never broken down! The second is a business edition, which is only necessary for those administrating a network. The free edition is fine for most people wishing to simply clean their personal computer at home. The directions for installing CCleaner are all included in the download links. Choose your operating system and follow the official guidelines. Each step is illustrated with screenshots. I do not work for the company, neither do I get any commission from recommending it. I'm merely a very grateful customer. The official homesite of CCleaner with further information and download links. A selection of download links for the free and paid versions of the program. This is currently in the 6th edition of the program's beta version for Mac computers. This international electronics chain store labelled it 'arguably the world's most popular tool for doing the job'. I will only recommend software that I personally use. Where possible, I will also find the free versions. It is the standard first question of any geek called to troubleshoot a PC. The fact is that 80% of the time, it fixes everything. Yay! Glad to hear it. It's a program which I not only use regularly myself, but recommend to everyone I know. I've just used it and want to thank you, Jo. It's swept the cobwebs out and not just hidden the dust under the carpet! I agree with you all the way there. I have a copy on my pen drive too. I do the same thing before I try anything, then I ask around on forums too. I have folk whom I trust to give me their opinion. Have you run the Norton 360 tune-up feature? What i'm aiming at here is completely clearing your cache for Wizzley. Beyond that, I think we'd be in the realm of drivers or software needing to be up-dated. Jo, I have the deluxe Norton 360. It does all of this. I don't know what is going on. Some strange things for sure. You're very welcome. :) It's one of those programs which I find indispensable.